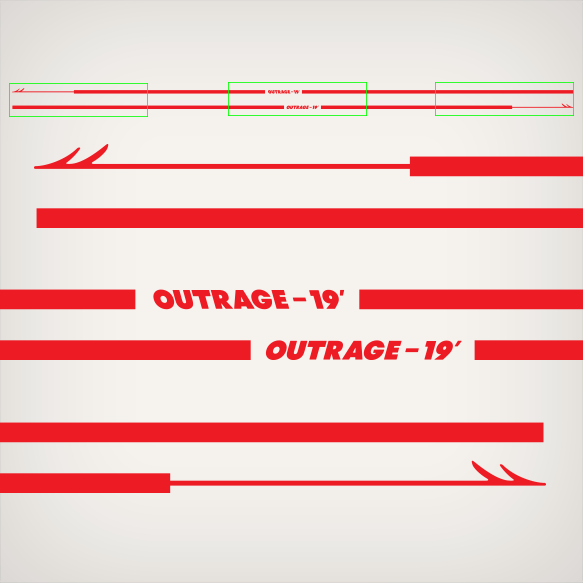 Outrage - 19' Harpoon Stripes as seen on Boston Whaler Boats. Overall size is 13.96’ feet (167.58 inches) long aprox. Boston Whaler Outrage - 19' boat decals as appears on the image. Overall decal as seen on the upper part of the image. The lower part of the image, is a close up of 3 sections of the decals, showing the harpoon decal pointing opposite sides.